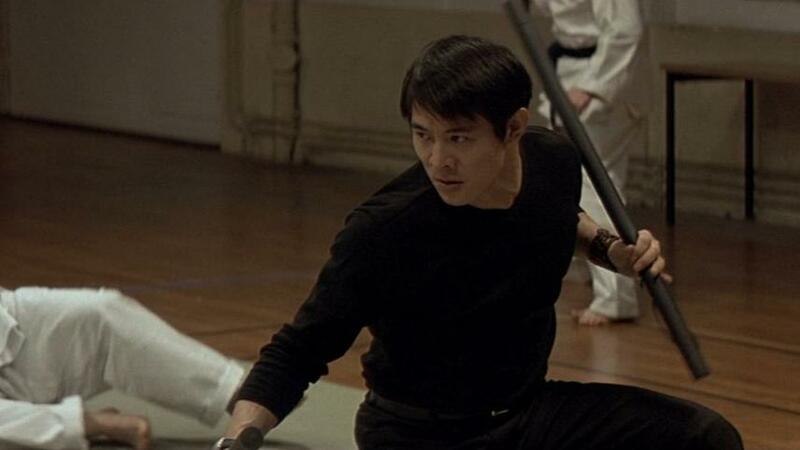 Kiss of the Dragon is fast-paced fun, with a lot of the typically-excellent Martial Arts Jet Li is known for. It has a lot of lively, quick fights and is loaded with very impressive stunts. It’s all very cool and slick. It has a nice, professional look and has tons of action – as well as a likable hero and a very evil baddie. Just those things alone put it head and shoulders above a lot of other movies of this kind. There is minimal CGI and wirework – it’s mostly all-real fights (with a couple of exceptions, of course). We appreciated the idea of Liu’s “acupuncture bracelet”, and the fact that he has some knock-down, drag-out fights with guys that resemble Street Fighter characters Guile and Balrog. The Guile guy is even seen reading a “Where’s Waldo?” book at one point. We know this came out in 2001, but if that’s not 90’s, we don’t know what is. Of course, all of this is highly reminiscent of The Replacement Killers (1998) of a few years previously. While that was a Hollywood vehicle for Chow Yun-Fat, this is for Jet Li. Instead of teaming up with Mira Sorvino, here it’s Bridget Fonda, and instead of Jurgen Prochnow as the baddie, here it’s Karyo. Needless to say, if you liked one, you will like the other. We also welcomed the fact that it was really Paris we were seeing, not Bulgaria masquerading as Paris, or some green-screen fakery. Nowhere was this more evident than on the boat fight scene, which is clearly on the Seine, and you cannot fake what they did. Maybe we’ve watched too many Seagal movies, but we loved the change of scenery. As with Contract Killer (1998), Cradle 2 the Grave (2003), and Romeo Must Die (2000), the filmmakers have decided to pair Jet Li with rap beats. In this case we have not one, but TWO songs by Mystikal. While it certainly places the movie in a particular time period, we kind of wish it wasn’t Mystikal. What, were Jadakiss and Silkk tha Shocker songs unavailable? Also, it should be noted that Richard, the bad guy, is so evil, he keeps a turtle in his desk drawer. Another thing we noticed was that in the scene where Liu and Jessica go to the orphanage, the floor and room number where the daughter can be found is “B13”. District B13 (2004) is also a France-set Martial Arts extravaganza, and a Luc Besson production. This must have some significance to him. It was just a little thing we noticed. 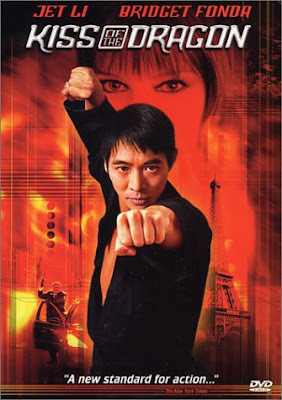 Kiss of the Dragon is an entertaining ride that is well worth watching. The great Jet Li is in top form and a pleasant time will be had by all who view it. This was Jet Li’s best movie. Of his Chinese movies, I think Once Upon a Time in China was the best one. Thanks again for one more year of detailed and funny reviews and Happy New Year 2018! Thanks so much for being a loyal reader and sticking with us during the hiatus. We really appreciate it. We have a bunch of reviews in the hopper for 2018!